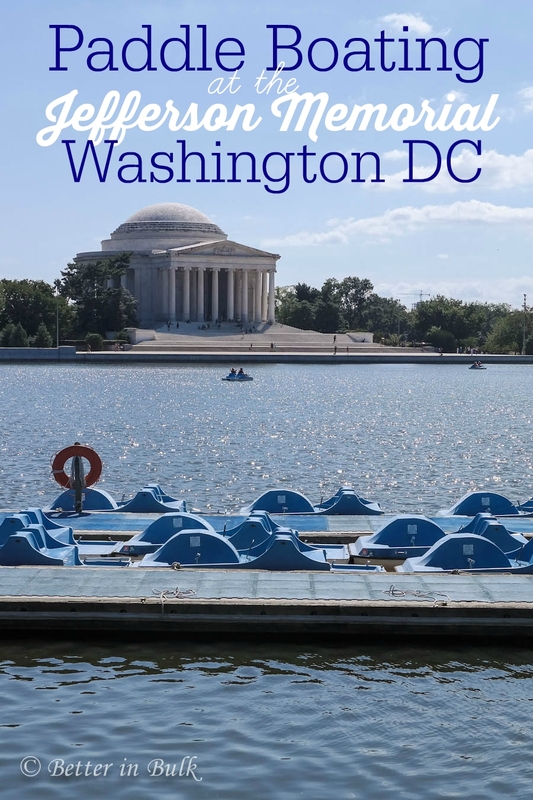 In an effort to find family fun activities at home (and not just when we’re on vacation) my husband came up with the idea to spend Labor Day in Washington DC (we live in the suburbs). When he told us what we’d be doing, we were all shocked. 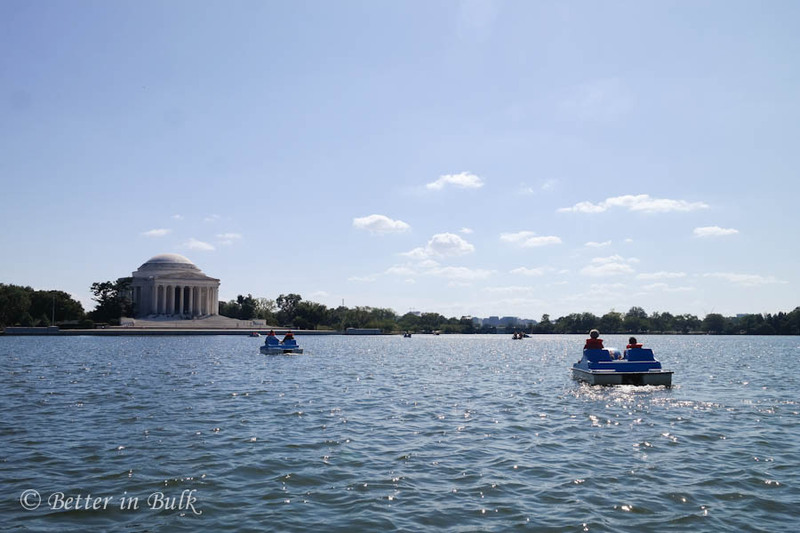 While none of the rest of us would have thought to go paddle boating in the Tidal Basin, we were all so glad that we did it! 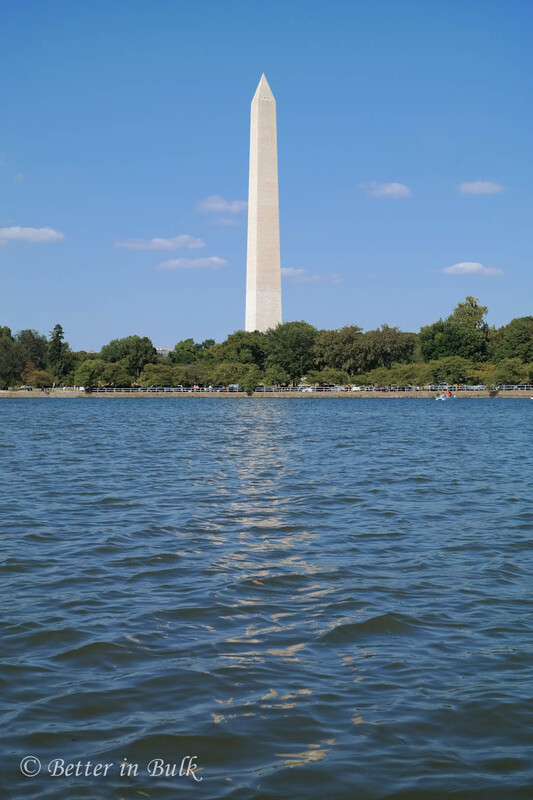 * Being on the water in front of the monuments provides the most amazing view and photo opportunities. I was in awe the entire time. * Current prices are $15 per hour for a 2-person boat, or $24 per hour for a 4-person boat. * Go slow. Don’t try to paddle too fast or your legs will get tired. FAST. * Bring a camera. 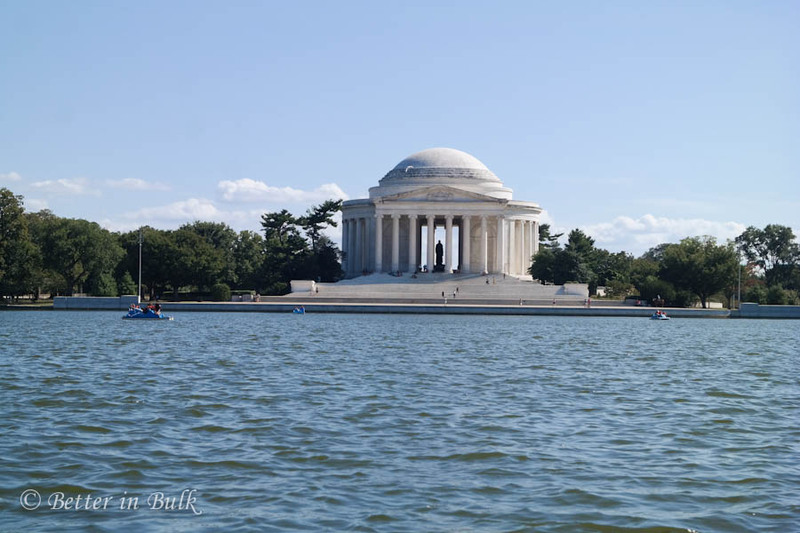 You’ll get once-in-a-lifetime shots of the Jefferson Memorial, the Washington Monument, and the Tidal Basin. * Every person is required to wear a life jacket. Expect to be uncomfortable. There is only one adult size and one kid size, and the adult jackets felt small on me. * Bring a water bottle. An hour out on the water made all of us thirsty. 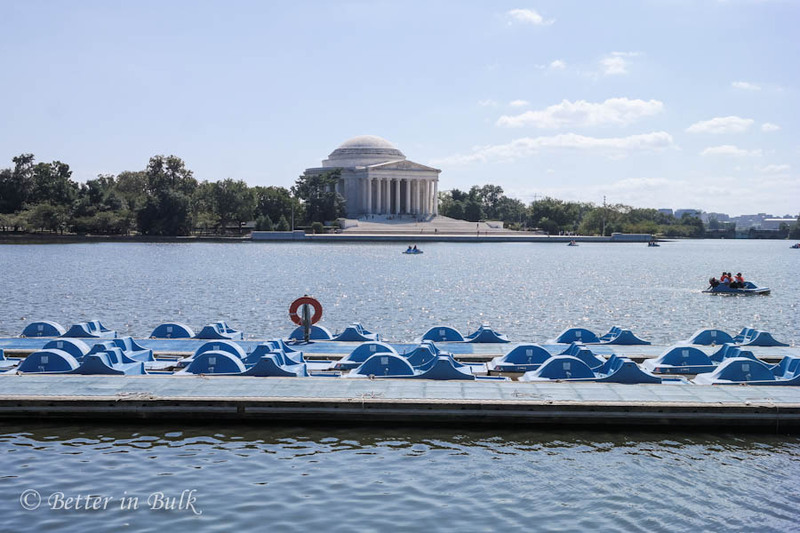 * At least one passenger in each paddle boat needs to be 16 or older. 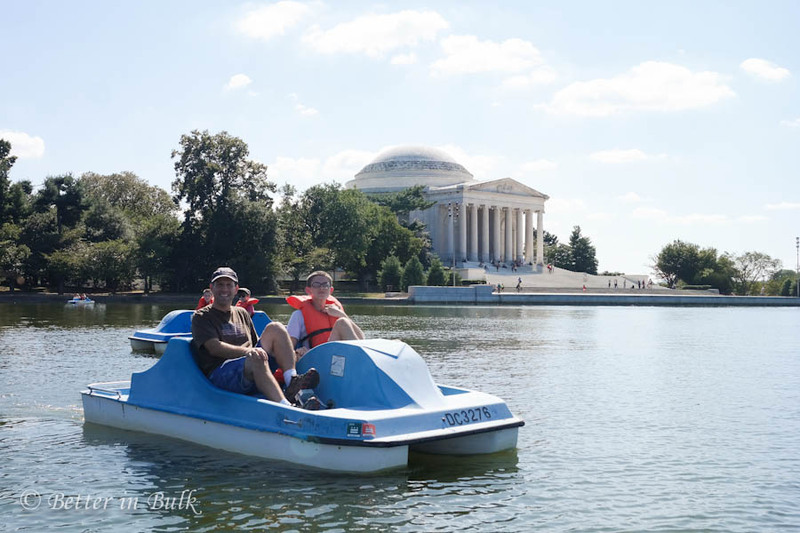 Have you ever been paddle boating? We can’t wait to go again! What have you been up to this week? Feel free to link up your photo-related posts from this week below. Have a great weekend! 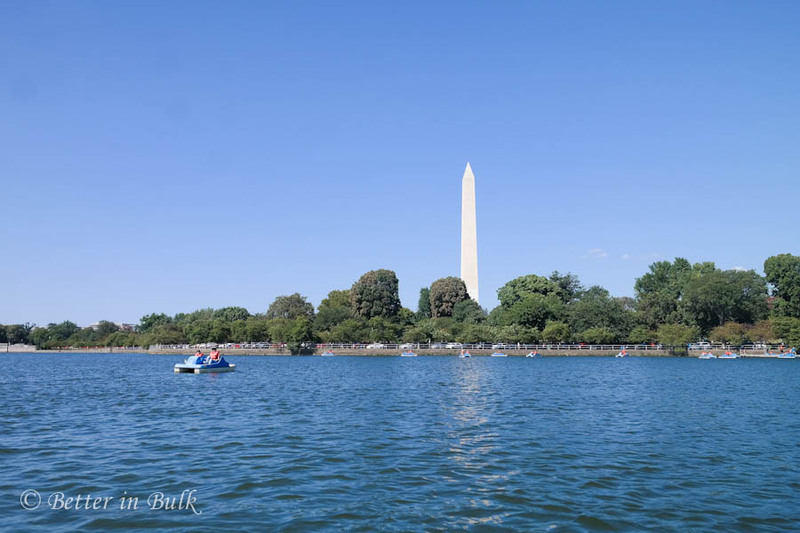 One of the activities I haven’t done in DC yet, great photos! This is so cool, Lolli! I had done boating once and it was an amazing experience as well. What more if the scenery in front of you looks like that. That’s a memorable Labor Day, indeed. Oh wow so beautiful! What an amazing and fun experience! That looks like a lot of fun! I have never been to Washington, D.C. Adding this to my to- do list when I finally do visit! This paddle boating looks like so much fun! 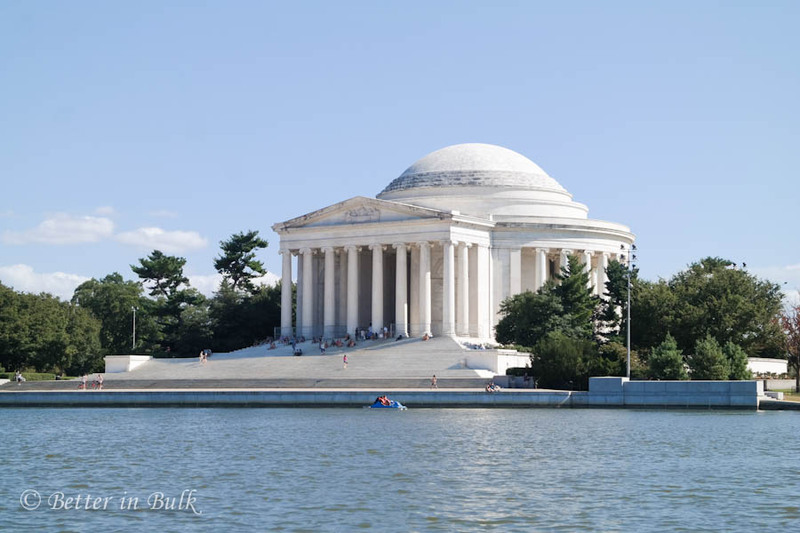 I think it would be breathtaking to take in all the sites in Washington DC! Your pictures look incredible! That looks like a lot of fun for the family with beautiful scenery! !